gianduias that I gobbled up as a greedy three-year-old in Rome. Maybe it was the pralines that my Basque grandmother put on the dessert dish in her dining room in Bordeaux at Christmas. Whatever the case, somehow I was destined to fall head over heels in love with chocolate. 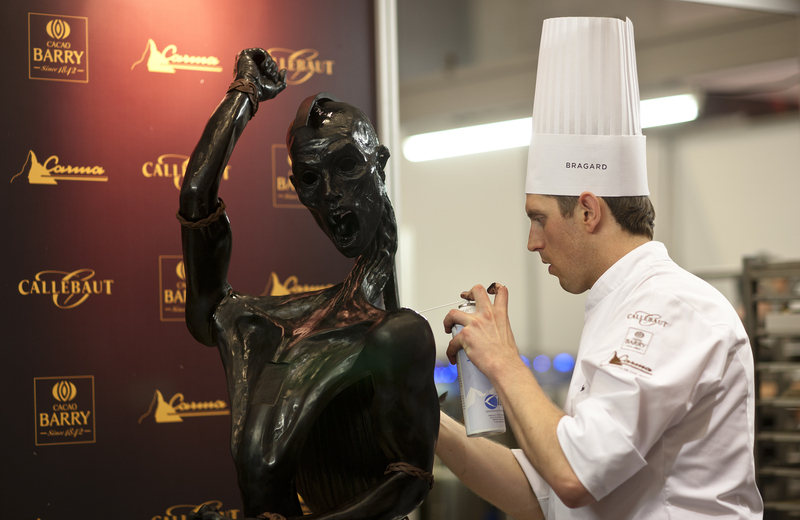 It happened in the nicest possible way, when I was working for Barry Callebaut on the World Chocolate Masters competition at the Salon du Chocolat in Paris in November 2011. But let’s begin at the beginning. If I have a sunny character — and people say I do — it’s because I was born in Italy. If I have taste for fine food and elegant clothes, it’s (probably) because my mother is French. And if I am down-to-earth and practical, it’s (maybe) thanks to my English father. All qualities that fit me for my journey to the sources of some of the world’s finest chocolate in the cocoa plantations of Peru. Quality has been a leitmotif in my professional life so far. One of my first jobs (as a summer volunteer), was to work for Taylor’s, one of the top producers of port, in their lodge in Vilanova de Gaia, across the Douro river from Oporto in northern Portugal. 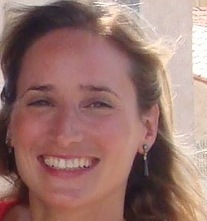 After graduating from King’s College, London with a degree in Latin American studies, I did time as a market research consultant before joining one of Britain’s leading video games producers. 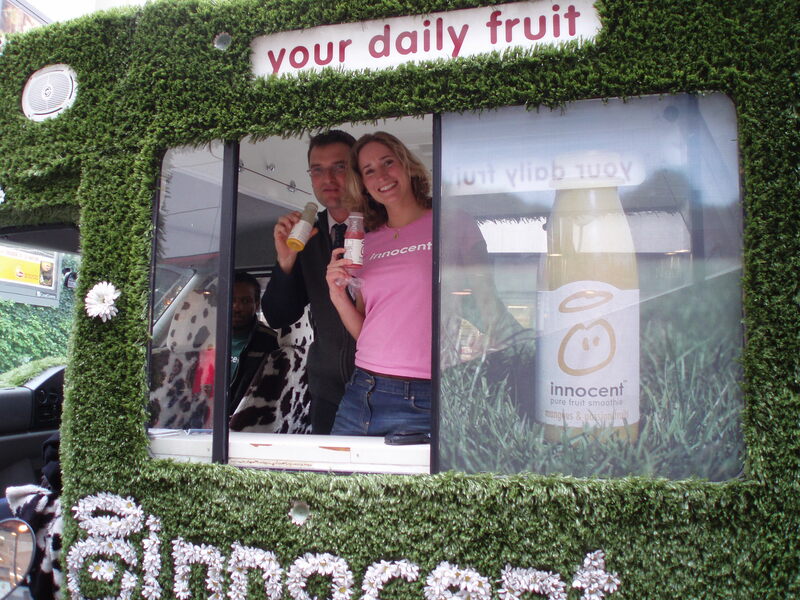 From there I moved to innocent drinks, makers of some of the world’s finest bottled smoothies, which I helped to launch on the French market. Later, I helped to promote some of the world’s best whiskies, as a member of the marketing department of Diageo, owner of Johnnie Walker and other leading brands. But chocolate is where my heart is, as I discovered one fine day in the early autumn of 2011. During yet another meeting with marketing executives at Barry Callebaut, purveyor of fine chocolate to the world’s leading chocolatiers, to discuss promotional objectives for the 2012 edition of the World Chocolate Masters championship, I suddenly found myself dreaming that I was face-to-face with Patrick Roger in his luxurious Magnum chocolate suite at the five-star Hotel Bristol. What does one say when confronted with a legend of French gastronomy in a room entirely made of chocolate? Instead of asking him for a job (I did that later when I met him in person after having been captivated by his idiosyncratic approach to chocolate creativity), in my reverie I muttered something about the tastefulness of the furnishings. There and then, however, I realised that the rich world of chocolate, uniting people and traditions across continents, was where I wanted to pursue my future. 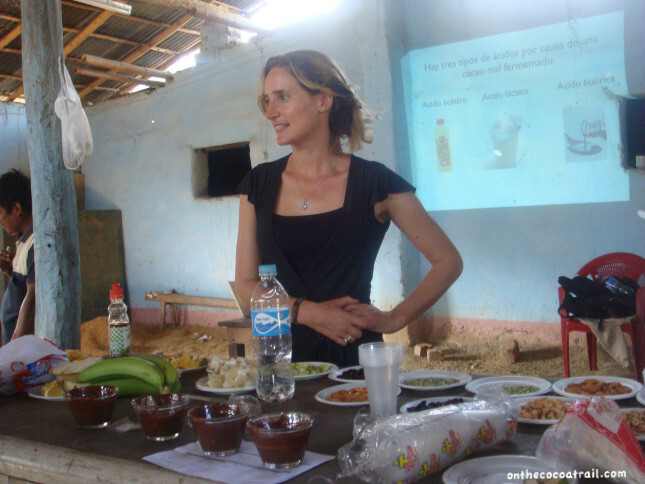 And so, after completing my assignment with Barry Callebaut, I went to Peru and Ecuador to learn about chocolate in the countries which is where cacao first originated from. This blog tells the story of all the amazing things I experienced in Peru and subsequently Ecuador. 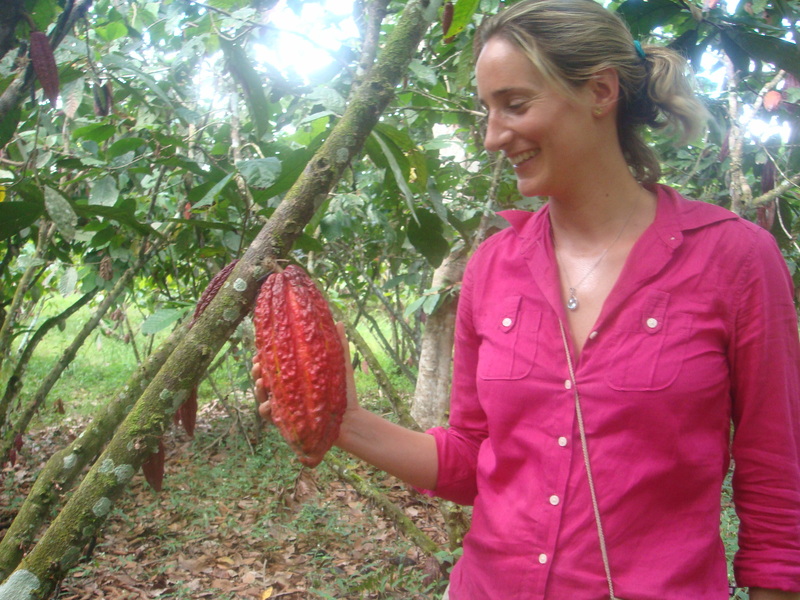 From my very first encounter with a cocoa pod, to my experiences living with local farming communities and understanding the ins and outs of a somewhat complex cocoa supply chain. From then on, thanks to this incredible experience, my career interests and ambitions have taken a different angle. 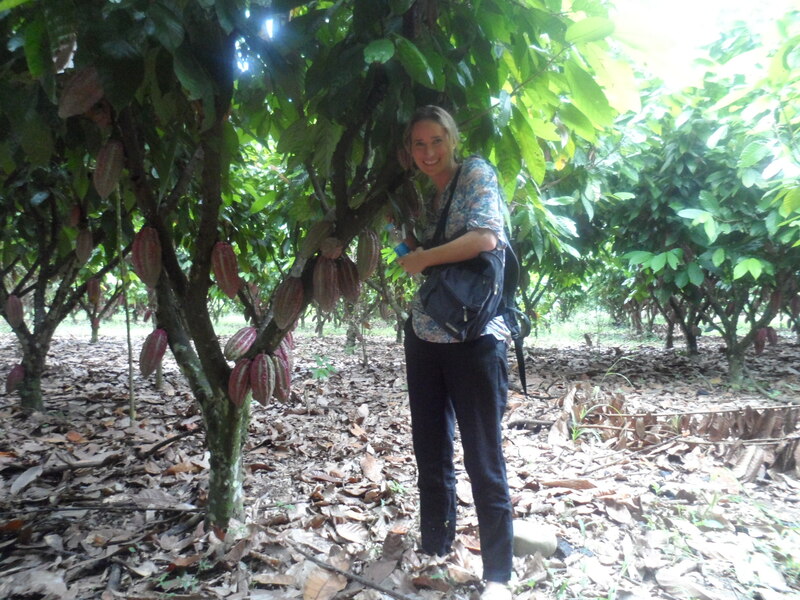 Following my experience, I realise that there is still a lot of work to be done; mainly to support cocoa farmers and protect special cocoa varieties from extinction. As a result, today my interests lie in cocoa sustainability. As wine connoisseurs rightly point out “the quality of the wine begins in the vineyard”, so does cocoa, and as the countries who export, manufacture and consume the chocolate, it is our responsibility to ensure the the cocoa supply chain is as sustainable as possible for the farmers and the environment. I have not read all of your posts, but I have enjoyed your writing so far. Travel and chocolate, fantastic! Like most humans I love chocolate and it is one of my weaknesses. I’m a runner and I’ve been delighted to hear that chocolate milk is a great post race/workout beverage. Sometimes life is fair! What it must be like to work so intimately with the birth of chocolate. Thanks for sharing your experiences. It will be exciting to follow your blog and your journey. The world of chocolate is indeed a delicious one that I, too, have found myself immersed in over the past three years. Hi Juliet! I am writing a historical novel and the ancestors of my main character ran to Bayonne because of the Spanish and Portuguese Inquisition. She travels back to Bayonne in search of her missing son. I am Brazilian but I will be in Mexico with my husband until the end of this year. If come to Mexico (a rich chocolate history and many initiatives in cocoa sustainability ), we will gladly receive you in our apartment. Mi casa es su casa! Congratulations and good luck! juliet, your Peru project and Chocolates is so inspiring that i am invoked or for that matter provoked to try doing one myself. Its great and chocolates do drive me for lot of research. I am a writer and a chocoholic. Your articles, journey and stories are exceptional, I enjoy reading them. Keep up the excellent work.